Since 2005, I’ve ignored Bois 1920 Sushi Imperiale. I got all upset once I started reading reviews that said it wasn’t a gingery, green sushi-inspired perfume with cold, salty white rice. I’m so literal; I know! At the time, I lived in an area that didn’t carry Bois 1920. I sure wasn’t going to order a sample of this spicy, comfort scent. It wouldn’t of appealed to me at that time anyways. Well, times have changed and it’s almost 2011. It’s cold and rainy here in Seattle. I have spent my winter vacation wanting to bake spiced family recipes and surround myself with vanilla and leather scented candles. 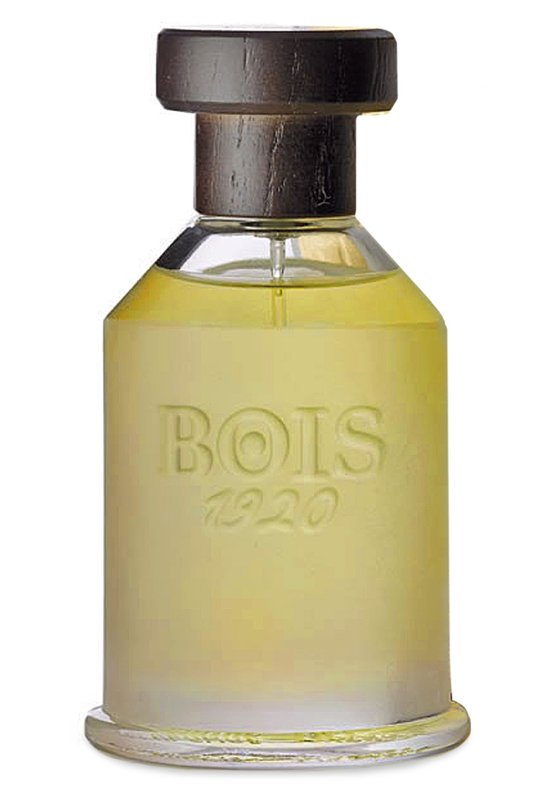 Bois 1920 Sushi Imperiale, a spicy oriental perfume, fits right in with my current mood. Spice lovers, please tell me you love Sushi Imperiale! It’s good, right? Sushi Imperiale reminds me of ginger beer at first. The citrus notes are effervescent and bubbly. The citrus isn’t alone. It really is there to highlight the already emerging spice! It reminds me of sniffing/drinking a really nice artisanal, possibly homemade, ginger beer. The Pacific Northwest knows how to do this right! Ginger, lemon, peppercorns…check out a “Seattle” recipe here. Sushi Imperiale remains effervescent and mellows out just like ginger beer or ginger ale does towards the bottom of the glass. I get lots of spice. There’s pepper. There’s nutmeg. There’s lots of cinnamon. There’s anise. It’s very comforting and reminds me of Chinese Five Spice or Pae-Lo. There’s a healthy dose of vanilla and toasted tonka bean that adds dimension. This sweet base makes Sushi Imperiale seem more like a dessert instead of a Pae-Lo stew. I assume for most people, Sushi Imperiale reminds them of Christmas and all of the delicious, warm baked goods associated with the season or maybe even fresh, homemade apple cider…I do pick up apple in this. Because of all of these notes, I’m reminded of Rosh Hashanah and masanada (an apple compote with spice and lemon, sometimes with honey). Regardless of holiday, Sushi Imperiale is a feast! And the wonderful thing is that Sushi Imperiale is sheer enough not to leave one feeling overindulged or nauseous. The dry-down is creamy vanilla pudding. Bois 1920 Sushi Imperiale reminds of wonderful things: niche beverages and fall/winter holiday celebrations. I’m very happy that I tried this one. It’s a light-wearing, effervescent gourmand/oriental. Like I said, you won’t reel “overindulged”. It’s perfect for fall and winter wear because it’s warm and spicy. But, I do see this working the rest of the year because of the lightweight and effervescence, maybe it wears more “ginger beer” during the summer? Notes listed include citrus, pepper, nutmeg, cinnamon, and Madagascar vanilla. Give Bois 1920 Sushi Imperiale a try if you like sweet but spicy fragrances or scents like Strange Invisible Arunima, Serge Lutens Rousse, and/or L’Artisan Parfumeur Piment Brulant. Or if you are looking for something that reminds you of ginger beer. A 3.4 oz bottle of Sushi Imperiale retails for $135-$180 and can be found at C.O. Bigelow. I almost about had cow when I found out fragrancenet.com is carrying select Bois 1920 scents on discount, seriously, on discount, like $150. *Fragrancenet.com is an affiliate link. If purchased through this link, then EauMG will receive a commission. This keeps EauMG running. Thanks! I read “Sushi” and just ignored all the chatter about this perfume, until i read your post. It sounds great, how could I have missed this? Thanks for the review. The name is SO not this fragrance. I really think they did bad with the marketing, I mean “raw fish”, come on. So, I’ve ignored this one too. But, it is way better than I ever imagined. I purchased a sample kit at Knows Perfume and this was in it. I wasn’t very excited to try it. I’m so happy this was in the kit because I would of ignored it forever. But, it really is good stuff, especially if you like spice. I like spicy!!! Nice review. I like that it reminds you of Rosh Hashanah, which makes me want to smell it. I attended a Rosh Hashanah seder years ago and have very nice memories of the occasion. For years I’ve been looking for a Rosh Hashanah fragrance, spicy, warm with cooked apple. This is it! (Wish the bottle was cuter, though). This is really misnamed, I would not have suspected a spicy oriental. Do you you think it can be compared to 5 O´Clock de Gingembre at all? It’s spicy but not as heavy as SL. This one has a sheer feel. The SL seems dark and black with cocoa and patchouli. They both are “gingery”, but Sushi Imperiale is light, effervescent like a soda pop. I could see how someone that likes the SL would like this one. They’re just the yin-yang of ginger. Ahem. It’s a fine fragrance, isn’t it? And a Bois 1920 discount? I’ve got my Sushi Imperiale supply, but I also really want Sutra Ylang. I feel awful that I ignored Sushi Imperiale. This is one that I see wearing throughout the year. I know! I didn’t know you could this on discount. I mean $150 is still hefty but it is better than $180. Plus, that site has coupons all the time like 15% off and free shipping.